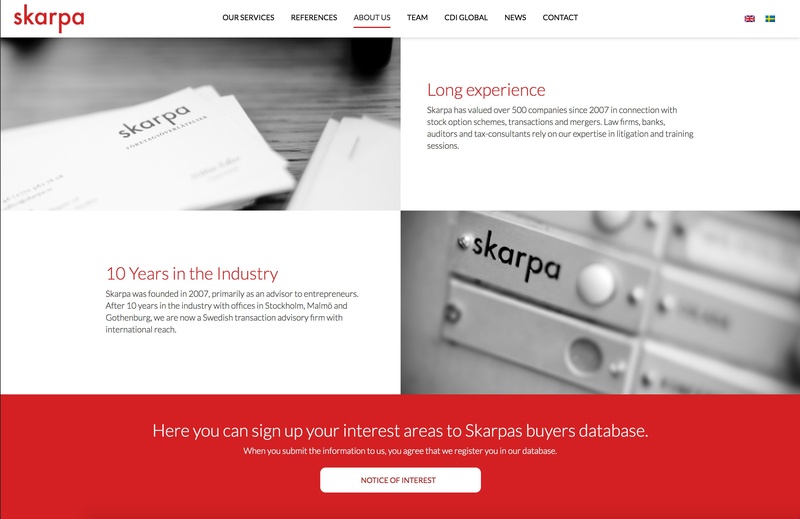 With 10 years of experience in helping owner's get the fairest deal possible for their companies, Skarpa has had a lot of clients. 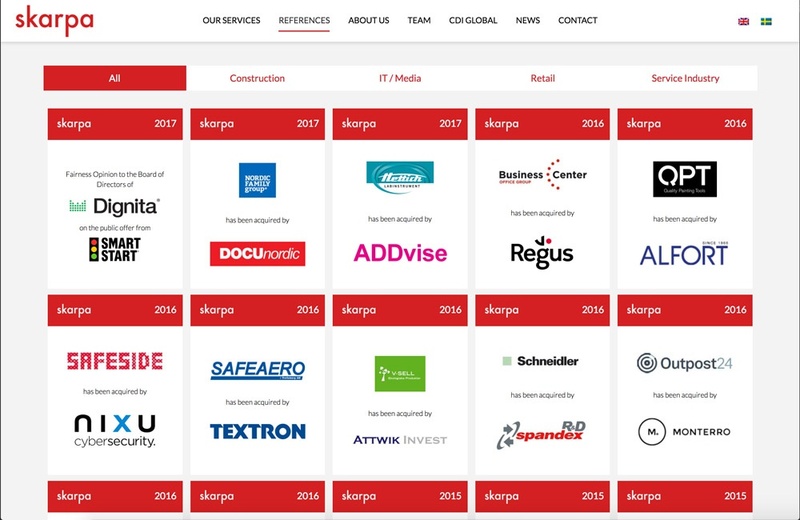 By planning, designing and implementing a listing of previous transactions, vistors can easily see, and sort, Skarpas work. 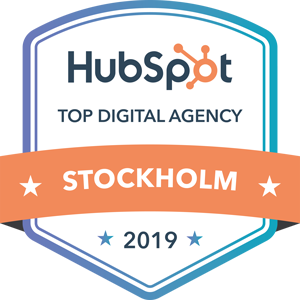 English is the language of business - but Swedish is the language of Sweden. 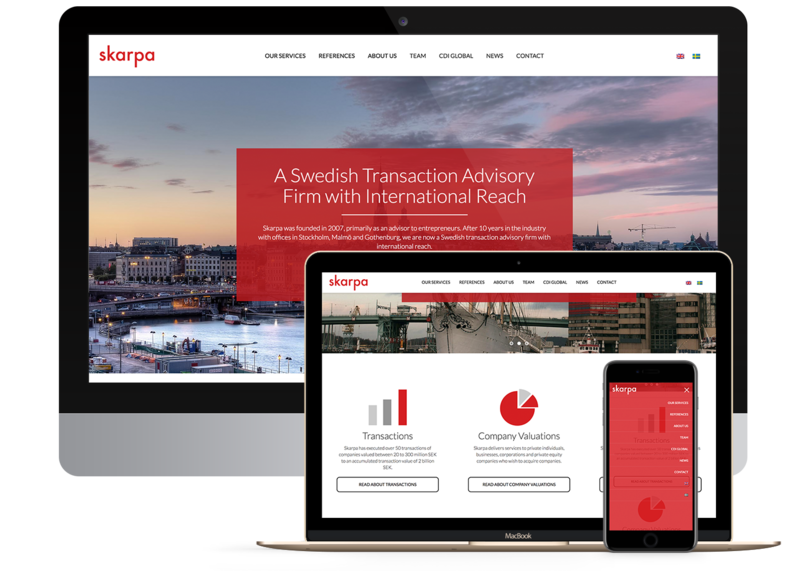 As a Swedish company with offices in Stockholm, Gothenburg and Malmö, Skarpa attracts international and national clients, alike.